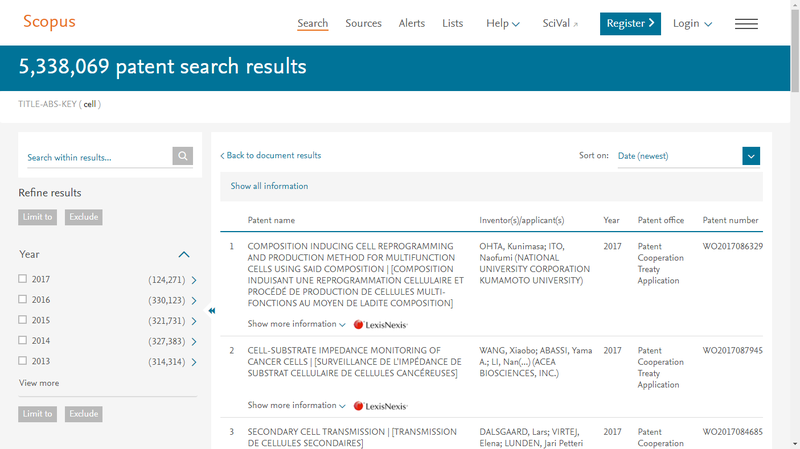 This week brought several changes and updates to Scopus. Read through this summary to find some of the key changes including a new errata linking feature, improvements to dataset linking, the addition of SNIP and SJR 2016 values, a new Russian interface and more. 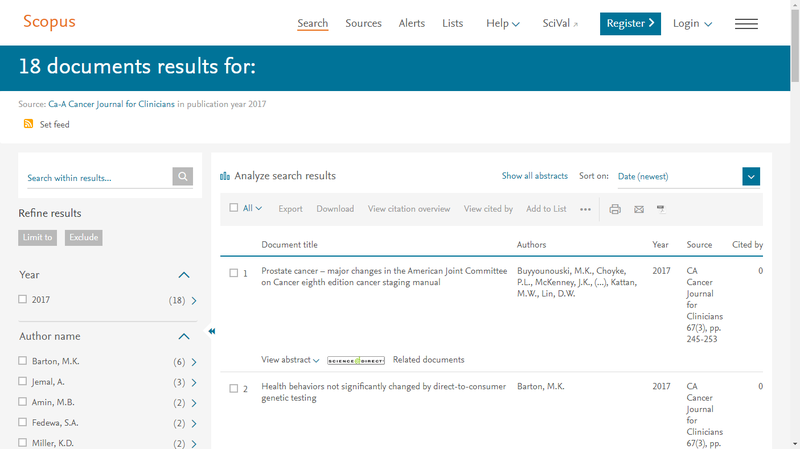 A new errata linking feature has been added to the Scopus Document details page, allowing you to quickly identify when a document has had changes or updates made after publication. The Erratum document type includes all types of corrections, such as erratum corrigendum, retraction, etc. Previously when opening and using the additional search fields functionality on the Document search page, a warning would appear if a field was left empty. This restriction and warning has now been removed, allowing you to move forward in your search even if you have not entered terms in the additional search boxes. 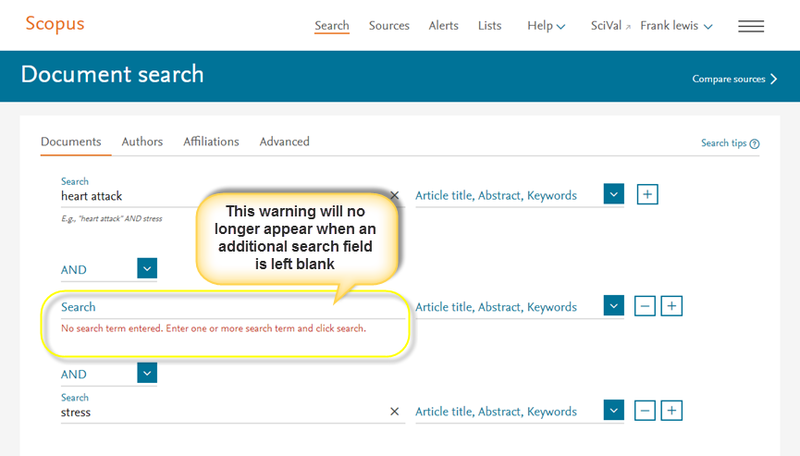 Additionally, the “view more/less” function for long queries has been added to the Scopus search history box. This change will improve the readability when long queries are listed. SCIamgo Journal Rank (SJR) and Source Normalized Impact per Paper (SNIP) 2016 values are now available and can be found in a title’s Source details page. 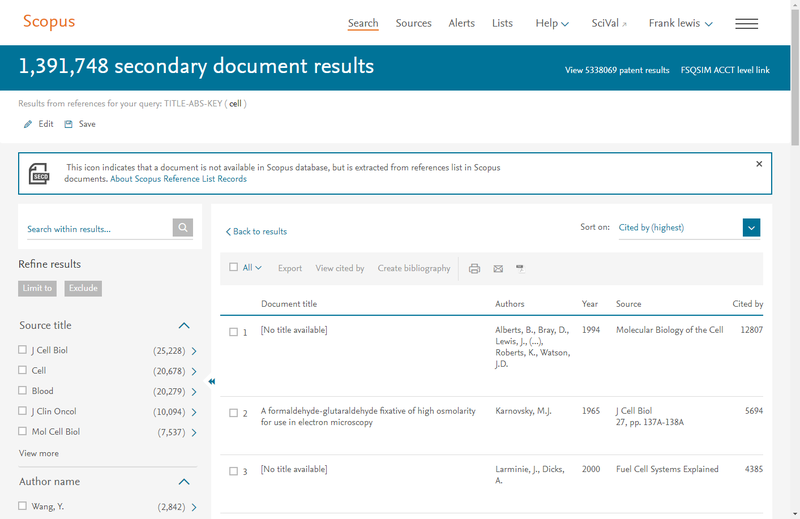 A new “View all Documents” button has been added on a title’s Scopus Source details page allowing you to view all documents link with the title. 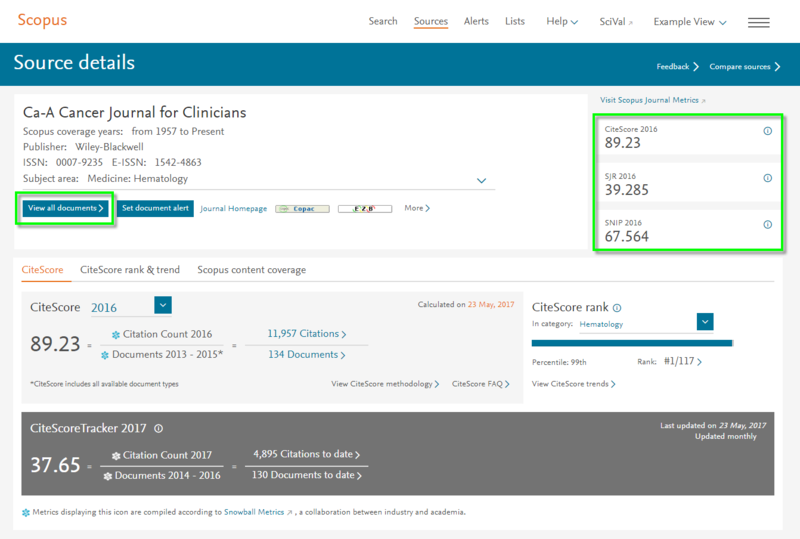 Even if your institution does not subscribe to Scopus, you can still view the citations and documents used in a title’s CiteScore calculation; however, you will be asked to register in order to view the full list. 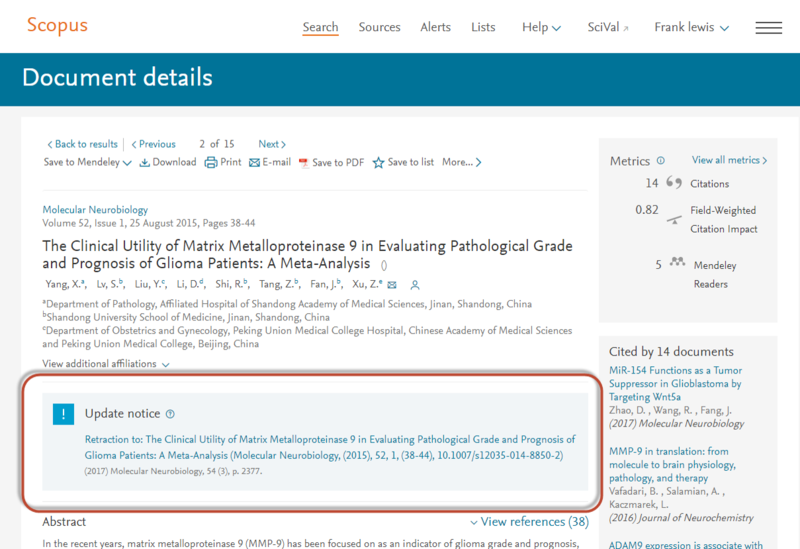 The ability to add a linkable institutional banner on the main Scopus page has been restored. If you are the institutional administrator you can use the Elsevier Admin Tool (https://admintool.elsevier.com) to do this. Once added, the banner will always appear on the main landing page regardless of which search tabs are being used. 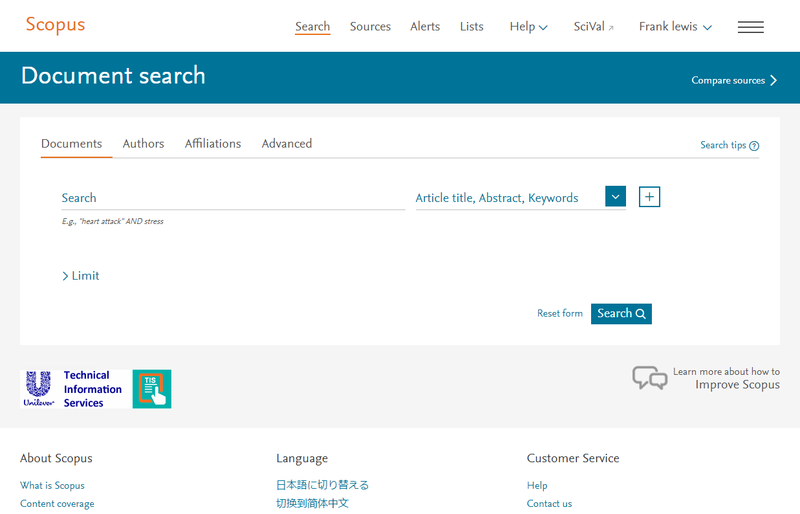 Over the past few years additional languages have been added to the Scopus interface to accommodate non-native English speaking users. This means that, although the Scopus content and search remain primarily in English, the interface and functionality of Scopus is translated to make it easier to navigate and use the platform. Along with the already available Japanese and Chinese (both simplified and traditional) interfaces, we are pleased to now introduce the Russian interface. 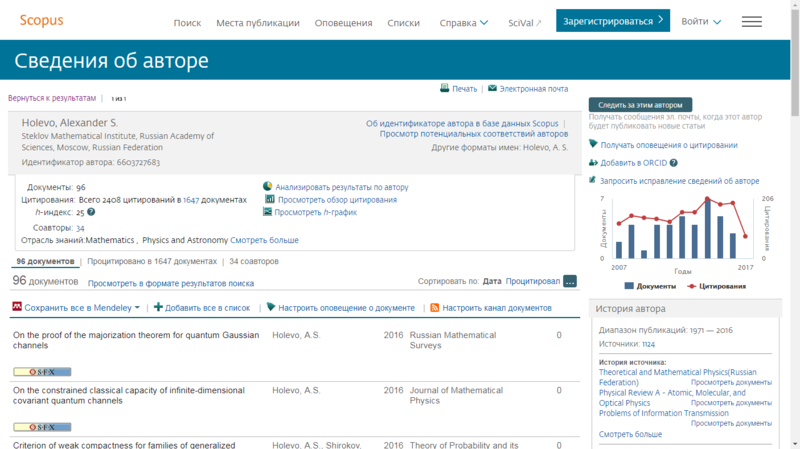 Users who have set their internet browsers to Russian language will automatically see the Russian interface when visiting www.scopus.com. However; if you do not see the Russian interface, you can switch to it manually by going to the “Language” section in the Scopus.com footer. In order to help ensure we have the best translation possible, we welcome any feedback you may have regarding translation inaccuracies.